Columns: one about a changing room incident and one about a tractor. Delighted to announce that, a few days on from the snow storm and my boiler breakdown, my fingers have now defrosted sufficiently for me to be able to type again. HERE is yesterday’s Sunday Telegraph column. Also, in my last Toff Gear column for Tatler* I did not review a Maserati or Rolls Royce. 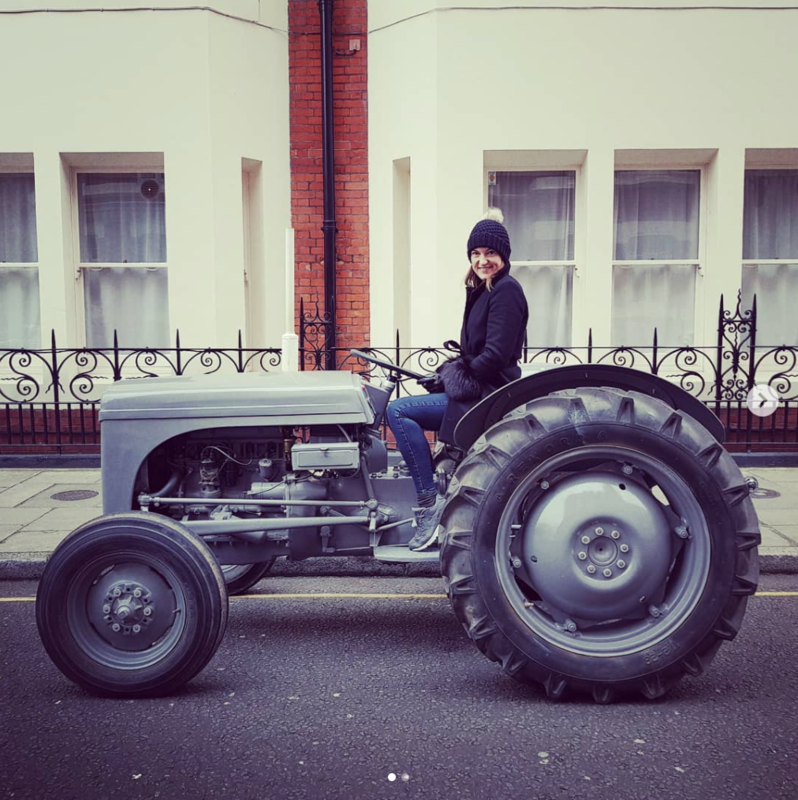 Instead, I reviewed a 1953 Ferguson tractor by driving it round (and round and round) Sloane Square. The review is in the new issue (the April issue. Magazines work months ahead which is why the piece is only just out even though I left in November), and the exciting news is you can win the tractor. Click HERE for the link but you’ll have to buy the magazine to read my thoughts. No power-steering. No cup holders. No heated seats. But four gears and a top speed of 40mph. Vroom vroom. *I’m going to continue writing about cars elsewhere even though, when I picked my car up after its service at Barry’s MOT Centre in Camberwell last week, I had to get the mechanic to start it because I was putting my foot down on the brake and not the clutch like you’re supposed to. In fact, I’m off to review something so expensive on Friday that there has to be someone else in the car with me at all times. So I probably won’t be able to chuck empty coffee cups and apple cores into the passenger footwell like I usually do.